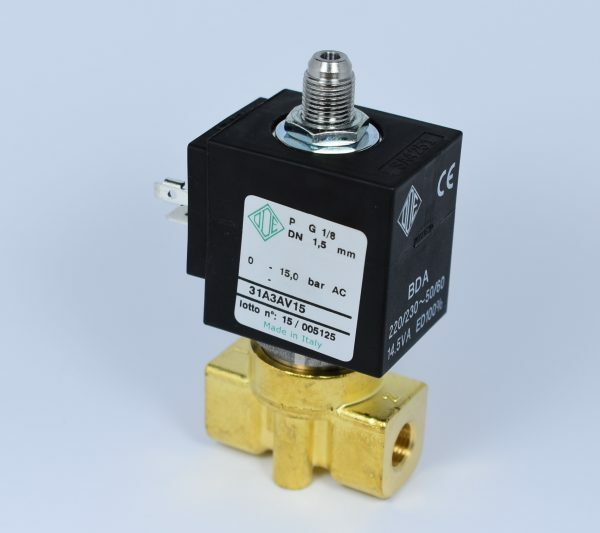 Solenoids are like electronic tap. The tap is opened or closed when an electrical current is given to the coil. 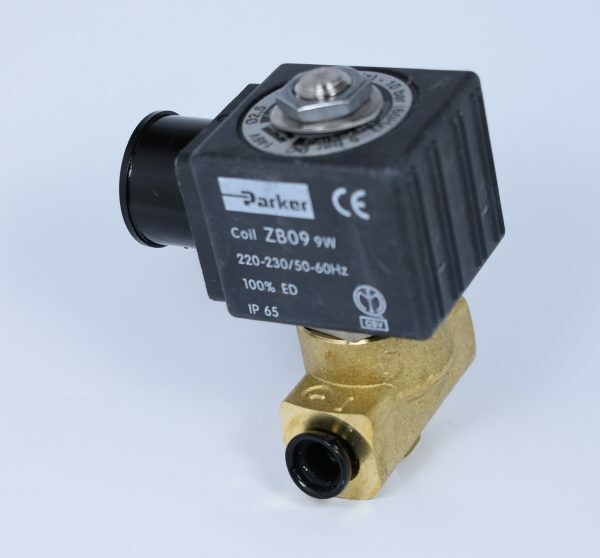 Solenoids have two main parts. The coil (black body with electrical connections), and the body (brass section with either a flat or T-piece base). 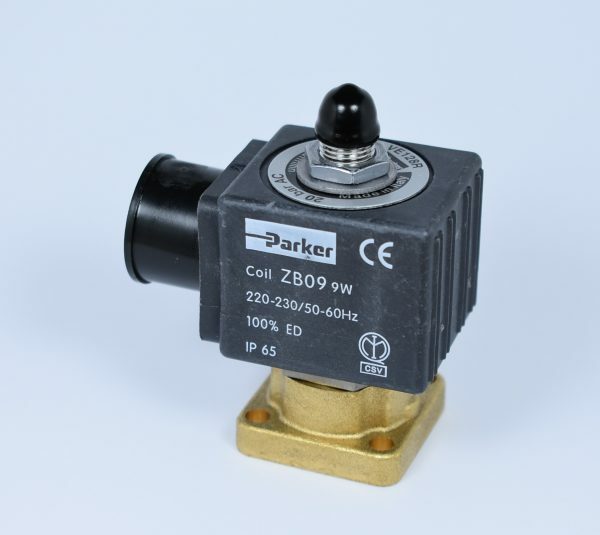 Solenoids are either 2-way or 3 way. 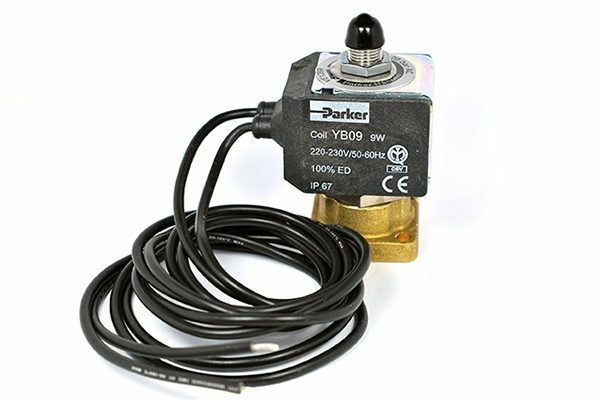 The 2-way is used to fill the boiler or as a replacement to a steam/hot water tap. The 3-way is used to activate the water for the group head, with the over pressure being released by the third spout, usually connected to the drain via a silicon hose, or brass pipe.